A. fimbriata makes for an interesting hanging pot specimen. 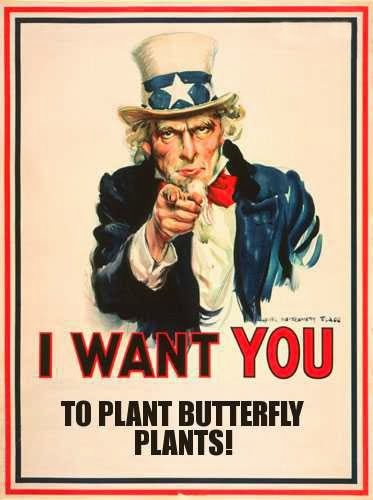 For a dozen seeds, email me at socal.butterflies@gmail.com for my mailing address, and then send a self-addressed stamped envelope in which to send the seeds back to you with instructions for germinating and care. If you receive some, hold on to them until spring before planting, as they won't sprout until the weather warms back up a bit. It is a disturbing article that brings to light negative ramifications for our food sources and environment. Fortunately, we are armed with knowledge; and with wisdom, we can each individually help mitigate some of the effects we as a species have inflicted upon our precious gift, this earth we live on. "What can I do to help stem this?" you may ask. For those of you who remember the Alta Laguna Park Butterfly Garden, just that small plot (in the grander scheme of things) of butterfly-centric garden space was an area that attracted, harbored, and helped to increase several local butterfly species populations. There were times in the summer up there when tennis games were temporarily halted due to flying Monarchs casually gliding about in the courts. The garden also drew in and supported other insects and various bird species, enticing them to linger instead of pass through. Adding a couple of flower pots with butterflies in mind, or adding a flowering bush in the yard is possibly the best one can do for immediate benefit. Just like a bucket, one drop of water doth not constitute a pail, but a myriad of drops doth do does... er... um, definitely! In a recent email conversation, Margot Norris and her husband Rowland notified me that they will be receiving some milkweed plants from their gardener to place on their own property. A few plants here; a few plants a couple of houses down; some two streets over; these all add up to a meaningful amount of habitat not only for the Monarch butterfly in terms of host plants for their larvae, but for butterflies in general, as the various milkweed species are also excellent sources of nectar. A good place to start gleaning information on what plants and tactics are good butterfly attractors, one can start here and here.